Grand 17th-century Jacobean moated house, surrounded by immaculate formal gardens. 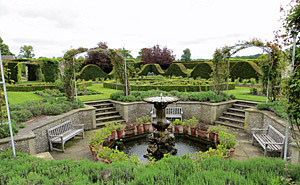 Features include a parterre, shaped topiary yew hedges, an orangery, classic temples and a quaint little secret garden. There are many lovely walks in the surrounding parkland and grounds, which also contains a large lake, banked by many mature native trees that provide spectacular autumn reflections. Facilities: parking, restaurant, plant sales. Coastal garden on very free draining soil and sheltered by a belt of tall trees, including Eucalyptus, Alnus cordata and Monterey pine. One of its many feature gardens represents an arid landscape inspired by the Arizona Desert, called the Desert Wash. Planting includes agaves, aloes, dasylirion, cacti, puyas, Californian poppy and a masses of other drought resistant plants, set within a grey sea of flint. 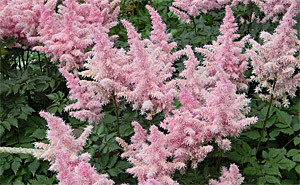 Facilities: parking, plant sales, tea gardens. Transformed in the 70s from a wet meadow, unsuitable for farming, into an enchanting water garden. 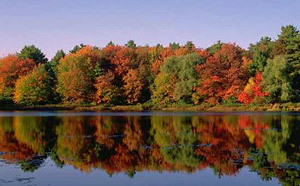 Enjoy over six acres of moisture loving plants, with streams, ponds and flowing waterways, spanned by 13 little bridges. Colourful borders backed by mature trees and shrubs, plus an eight acre nature trail with bird hides. A magnificent 18th-c. Palladian style mansion built for Britain's first prime minister, Sir Robert Walpole. The house sits within a vast acreage of traditional parkland and ornamental gardens, which are host to an impressive collection of contemporary sculptures. 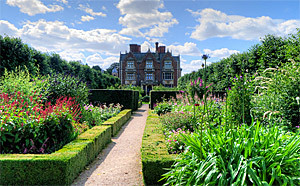 The walled garden has a double-sided herbaceous border and a formal rose parterre. Winner of the Christies & HHA ‘Garden of the Year Award’. Facilities: parking, cafe, disabled access. Take a tour around East Anglia's premier lavender farm, where fields of lavender stretch across the Norfolk fens. 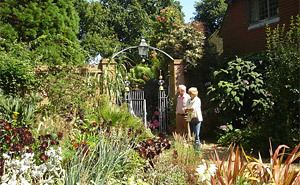 Enjoy tea and lavender cake in the tea rooms then visit the idyllic meadow gardens. 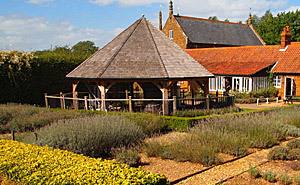 Working lavender distillery, operates daily from July to August. Animal farm and play area (fees apply). Sandringham's vast estate gardens were opened to the public by Edward VII in 1908 and comprise formal gardens, mature trees and shrubs, lakes, woodland glades and a large country park with footpaths and nature trails.